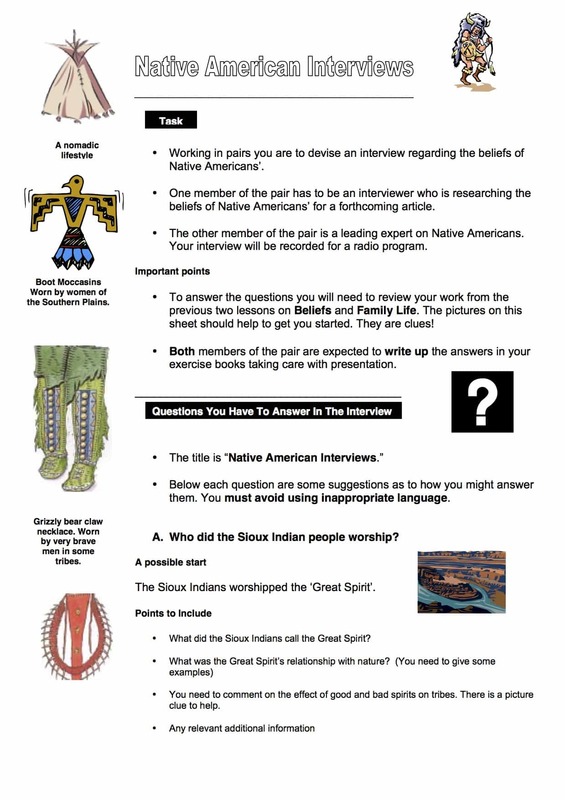 Working in pairs you are to devise an interview regarding the beliefs of Native Americans’. One member of the pair has to be an interviewer who is researching the beliefs of Native Americans’ for a forthcoming article. The other member of the pair is a leading expert on Native Americans. Your interview will be recorded for a radio program.